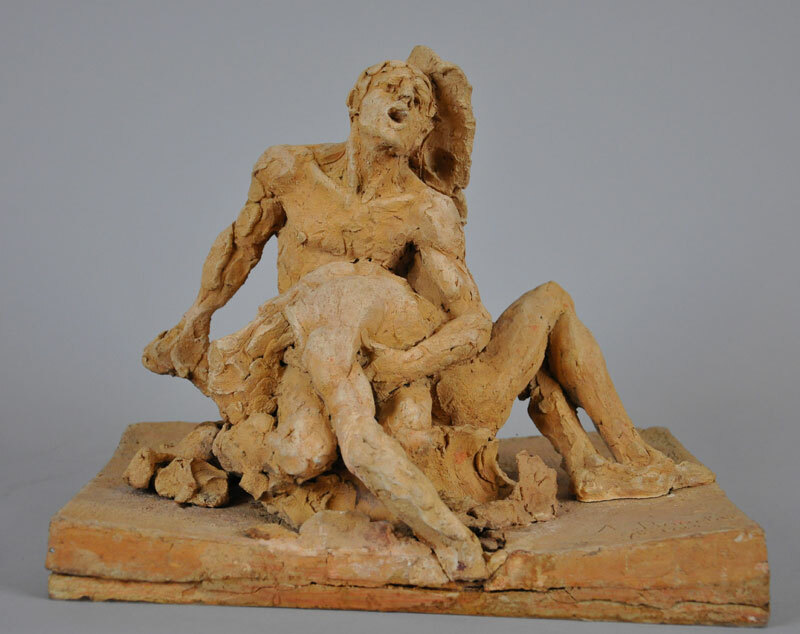 By the quirks of fate, four sculptors, renowned during their lifetime, have resided in Nogent-sur-Seine: Marius Ramus (1805-1888), Paul Dubois (1829-1905), Alfred Boucher (1850-1934) and Camille Claudel (1864-1943). They maintained intergenerational professional relations and held each other in friendly esteem. The museum of Nogent-sur-Seine, created under the impetus of Alfred Boucher, today presents an important collection of sculptures by these four artists, further enriched by numerous works created by their compatriots. At the height of his success, Alfred Boucher strove to found in Nogent-sur-Seine the museum that had been lacking during his own apprenticeship under Marius Ramus. This philanthropist drew largely from his own personal collection and solicited his friends and acquaintances, while the town acquired the so-called “Château” to house the new museum. The children of Marius Ramus and Paul Dubois also lent their support to the project. The Dubois-Boucher Municipal Museum was inaugurated on 12 October 1902. On 21 May 1905, the sculpture gallery, housing primarily large-scale models destined for the public sphere, was in turn inaugurated, thanks to the generous contributions of Alfred Boucher’s friends and the widow of Paul Dubois. The museum was therefore capable of welcoming the full-scale model for the Joan of Arc equestrian statue by Paul Dubois the very day of the museum’s 1902 inauguration ceremony. The museum continued to strengthen its specificity: sculpture from 1870 to 1910. Studio collection donations contributed to the creation of a museum of sculpture and of sculptors. This particularity would be further reinforced by the coherent acquisition policy pursued between 1980 and 2013, peaking with the purchase of works by Camille Claudel from Reine-Marie Paris and Philippe Cressent in 2008. The same year, the town managed to purchase the only monumental marble work by the artist, thanks to the contributions of patrons and the Fonds du Patrimoine national heritage fund (attributed by the French Ministry of Culture). The radical transformation of the municipal museum – involving the construction of a new 2,400-m2 building, as well as the renaming of the museum (the first in the world to be named after Camille Claudel) – has necessitated a reconsideration of its collection and the redesigning of its exhibition to put into perspective the oeuvre of Camille Claudel and examine the role she played in the artistic landscape of her period.